Minister of Sport and Youth Affairs, Shamfa Cudjoe, said contrary to reports, Special Olympian Shanice Baptiste was not abandoned in Abu Dhabi. Speaking to LoopTT, Cudjoe said that Baptiste had been unwell and based on medical advice received, remained behind in the care of her coach while medical equipment was arranged for her flights home. Baptiste is due to return to Trinidad and Tobago on March 28. 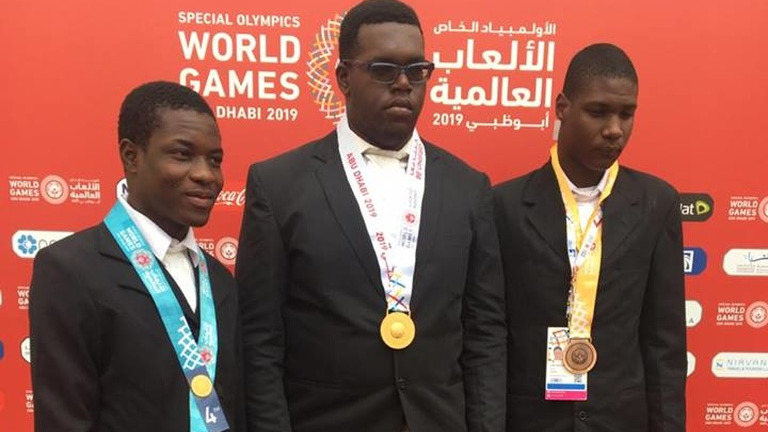 Cudjoe made a post via social media on Tuesday after a social media post was shared claiming that Baptiste had been forgotten in Abu Dhabi after competing at the 2019 Special Olympics. "False, Fake, misleading, careless and NOT Funny at all. Special Olympian Shanice Baptiste was not forgotten in Abu Dhabi. The young athlete fell ill and had to be hospitalized. Doctors stated she was unfit to travel, so she remained along with a coach/caretaker. They will return home as soon as they get the clearance from the medical professionals, and the protocols are worked out with each airport for safe and smooth transit. I have personally been in contact with the family since last week. And the SOTT has also been in contact up to Sunday. I, like her parent and relatives with whom I have been communicating, cannot understand the reason for this mischief. This is unfortunate. A LITTLE RESEARCH GOES A LONG WAY! I am confident that we know better and we can do better when it comes to reporting the facts to the public. #latenewsisbetterthanfakenewsanyday." She said that she has been in constant communication both with the head of the Special Olympics Trinidad and Tobago (SOTT), and the officials regarding the status of Baptiste's health and her return to Trinidad and Tobago. Additionally, she said prior to the posts being put online, she said no one reached out to her to verify those claims. "No one contacted me about that, as soon as I saw the post this morning I immediately reached out to her (Baptiste's) mother." She said she contacted Baptiste's mother this morning, who was also confused regarding the post. She said the mother's only request was that she wanted to speak to her daughter via phone to check in on her, which Cudjoe said she is arranging. 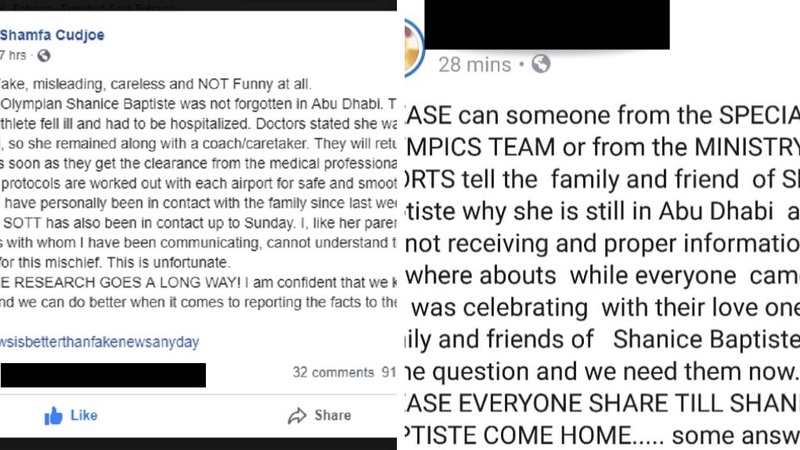 She said on Thursday night she was told that Baptiste would need to remain in Abu Dhabi after suffering an asthma attack. She was medically treated and is said to be recovering well. Cudjoe said officials were liaising with airlines to ensure that the requisite medical equipment would be available along each leg of her flight home. She said if there was an issue she could have been contacted for clarification. "Even if this was an issue they could have reached out to me or any of the SOTT officials. Based on medical advice she received, it was advised that precautions be taken prior to her flight, which means making sure the correct medical equipment is on board with her." Cudjoe said Special Olympic officials arranged to ensure equipment was aboard her flight home via British Airways. "There has been chaotic information circulating, it seems as if someone is trying to cause miscommunication on this," she said. She emphasised that if there is any issue relating to her Ministry, she can be contacted. “I am always available for contact and I’m always in contact with officials at SOTT to make sure I am up-to-date. There’s a coach with Shanice making sure that she is comfortable and that she gets home safely," she said. 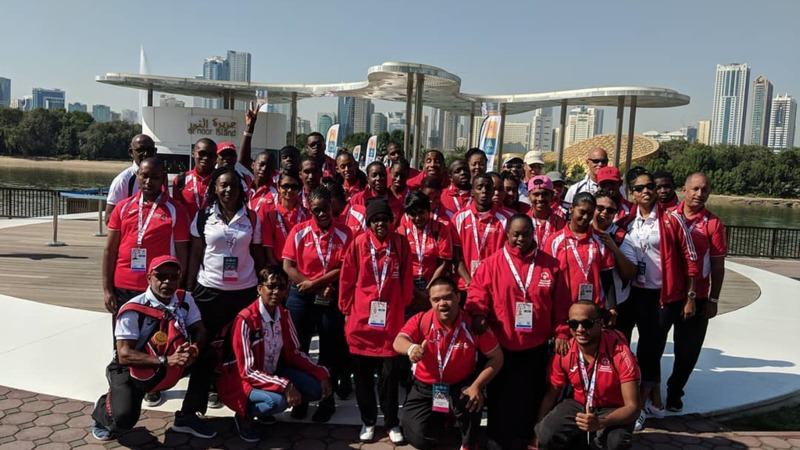 Trinidad and Tobago's Special Olympians made an outstanding show at the 2019 Special Olympics, with the team of 29 athletes snagging a record-breaking 57 medals at the Special Olympics, the highest number of medals won by any team across the Caribbean in the 2019 Games. 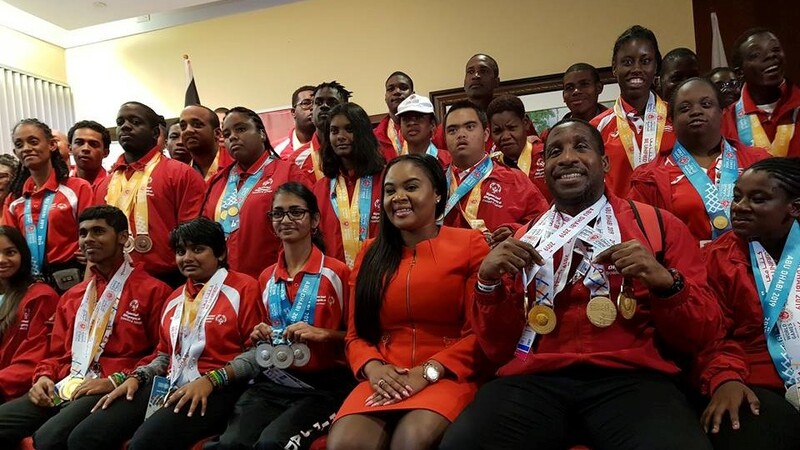 During a welcome-home reception at the Piarco International Airport on March 22, 2019, Cudjoe said a proposal had been submitted to Cabinet – which she felt sure would be approved – to provide funding for Special Olympics athletes under the Government’s Incentives and Rewards Framework.